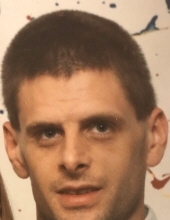 ROCKVILLE- Corey Rae Vauters, 46, of Rockville, Indiana passed away at 12:31 pm Monday, January 14, 2019 at Union Hospital in Terre Haute. He was a factory worker. He was born July 15, 1972 at Clinton, Indiana to Paddy Ray Vauters and Connie Brown Norman. Survivors include his mother Connie Norman of Rockville; one daughter, Rylie Nicole Vauters of Greencastle; three brothers, Timmy Vauters of Rockville, Ross Vauters of Mooresville and John Vauters of Terre Haute; three sisters, Becky Vauters of Clinton, Lori Vauters of Rockville and Megan Humphrey of Terre Haute; maternal grandmother, Mary Stowe of Rockville; several aunts, uncles and cousins. He was preceded in death by his maternal grandfather, Willis Rae Stowe on March 20, 2004 and a brother, Brady Robert Vauters on April 7, 2011. He was a 1992 graduate of Rockville High School and attended the Rockville First Baptist Church. He was a member of the Veterans of Foreign Wars Paul Taylor post 1752 and the AMVETS post 61 both in Rockville. He was active with the Military Funeral Honor Guard serving our Parke County veterans. Services will be 3:00 pm Friday, January 18, at Gooch Funeral Home, 112 W. Howard Street, Rockville. Burial will follow at Memory Garden Cemetery, Rockville. Visitation is from 1:00 pm until 3:00 pm Friday at Gooch Funeral Home. To send flowers or a remembrance gift to the family of Corey Rae Vauters, please visit our Tribute Store. "Email Address" would like to share the life celebration of Corey Rae Vauters. Click on the "link" to go to share a favorite memory or leave a condolence message for the family.